View More In Air Bag Scan Tools & Simulators. SUPPORTED LANGUAGES - English, French, German, Polish, Russian, Spanish and more. Default language is English, other language please update via offical website. FULL SERVICE SCANNER - Functions: EPB, Oil Service, ABS SRS reset, Battery Configuration, Steering Angle Sensor Calibration, DPF regeneration and Throttle body alignment. NO NEED EXTRA BATTERY - Power directly charge from OBDII car scanner interface in your vehicle. 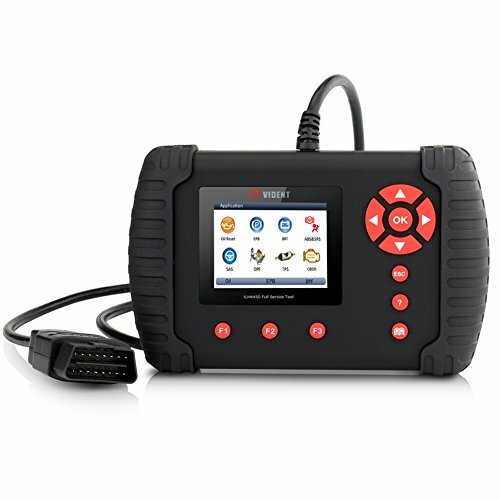 2.8'' TFT color screen and smart hotkeys make this automotive scanner become an ideal tool for professional technician who do car maintenance work at home, also makes it convenient for DIYers and personal diagnosis. If you have any questions about this product by VIDENT, contact us by completing and submitting the form below. If you are looking for a specif part number, please include it with your message.